The Folk Choir: New Winter Term starts this week! New Winter Term starts this week! 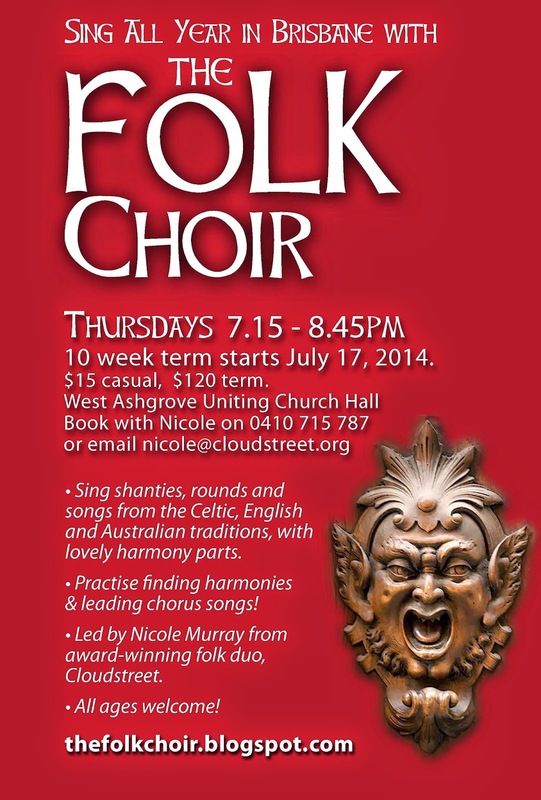 The Folk Choir﻿ starts up for another term this Thursday at 7.15pm. Come along and sing some delicious songs with some delightful people. Harmonies, choruses, friends and hot drinks. Winter fun! This term goes from July 17 - September 18. It's a 10-week term, and the full term price is $120. If you can't make it every week and would like to attend casually, you're very welcome, and it's $15 a week.